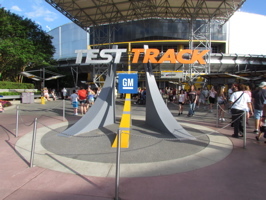 Epcot’s GM Test Track (below, left) closed yesterday for a lengthy re-design, it will eventually be the Chevrolet Design Center – there is no definite date to re-open, but it seems it will be at least October before it’s finished. We stopped for a moment at the Cool Wash (below, right) before going for a ride. 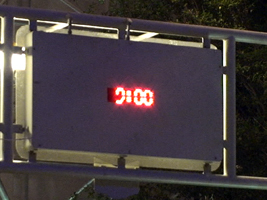 The clock struck 9pm (below, left) and the last guests were ushered in (below, right). 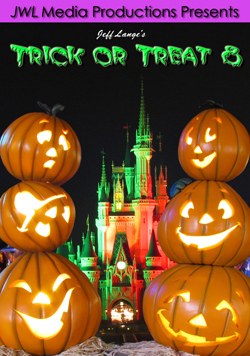 We had been told to stand to the side in the “final ride line” but eventually were told we should get inside before the door closed. 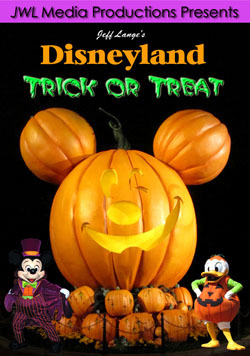 As always, we knew a lot of the guests who were there for the last rides of the night! 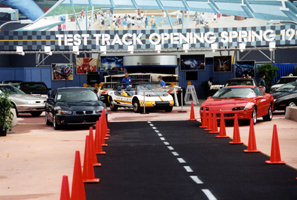 The door closes for the last time to GM Test Track as we know it now (below, left). 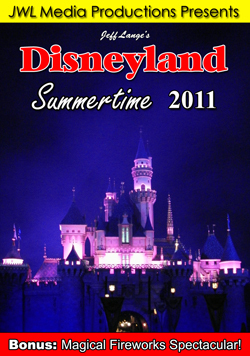 We didn’t have a lot of time in the queue, it was only a 15 minute or so wait once we got inside. A crash test dummy (below, right) sits in front of a wrecked car. 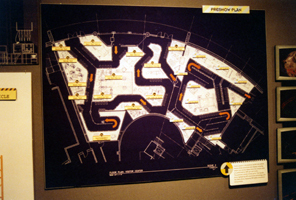 I pose in front of a diagram on the wall (below, left), before we enter the pre-show area (below, right). 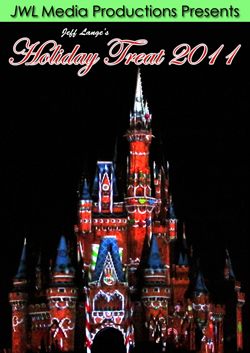 The mood was festive as everyone was excited to be part of the final group to receive the “safety briefing“. 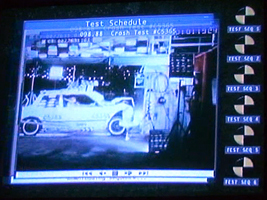 When the Chevrolet Design Center opens, we don’t expect to hear the words “suprise tests” anymore (below, left). 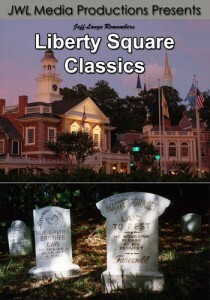 We thought the movie held up really well for being about 14 years old. I always get a bit concerned by her choice for our surprise test. 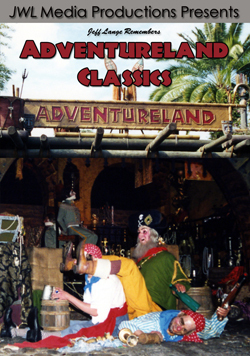 I hope Bill McKim returns in some form to the new attraction. 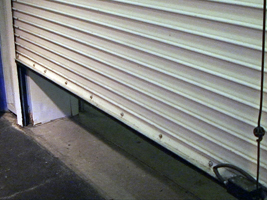 (below, right). 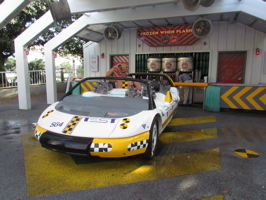 Just a few cars remained to be ridden when we got into the queue. 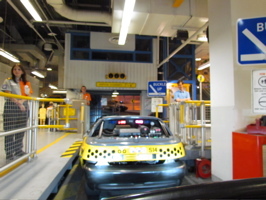 Guests seemed to enjoy their last spin on GM Test Track (below, left). 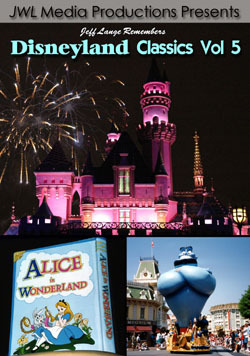 Here is a view from our car (below, right). 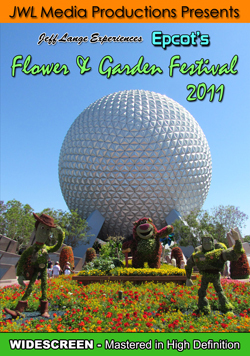 It was a great send off to the attraction and we ended up talking to some of the other die hards fans for quite some time after the park closed. 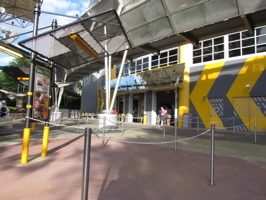 Video #1 – Epcot GM Test Track Final Ride 4/15/12 POV Front Row HD + Full Briefing, Doors Closing, Final Night – This was the final ride of the original GM Test Track at Epcot on 4/15/12. 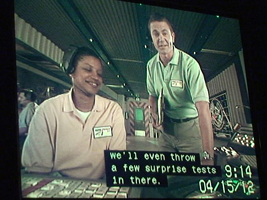 Watch as the clock turns to 9pm and the doors close for the last time before entering the Briefing Room for the complete spiel and then a perfect POV front center ride through in full HD! 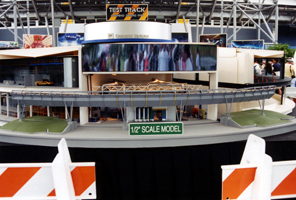 I wanted to share a handful of photos of when GM Test Track was being built. 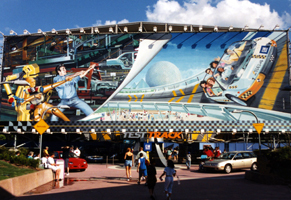 GM’s World of Motion closed in 1996, after being open for over 13 years – about the same length as Test Track has stood. 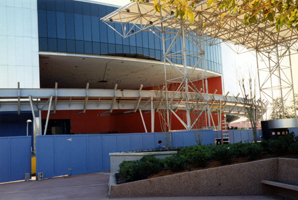 In the first photo, it’s somewhere in between World of Motion and the Test Track attraction as you can still see where the World of Motion omnimover was located going out then back into the building (below, left). 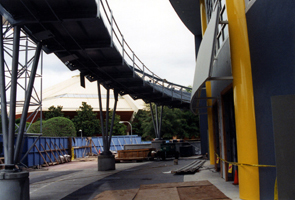 At the time, they expected Test Track to open in spring of 1997 (below, right). Ultimately, it missed that goal by about a year and a half. 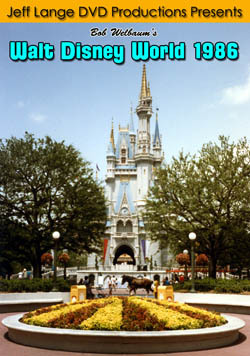 Here is a picture of construction in front of the attraction (below, left). 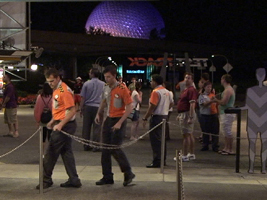 Notice the Horizons building in the background. 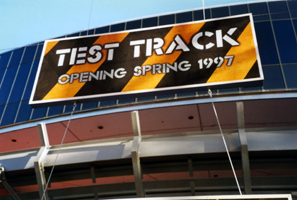 There was a huge banner across Test Track which showed what the attraction should look like when finished (below, right). 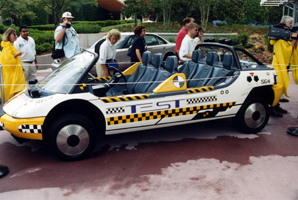 During construction GM cars were on display in front of the attraction, including a mock-up of a Test Track ride vehicle (below, left and right). 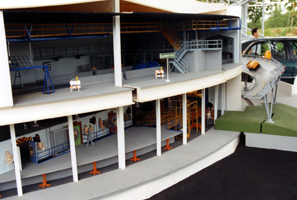 A detailed model of the attraction was available for guests to look at, at 1/2″ scale (below, left and right). 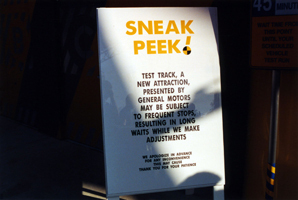 Once GM Test Track opened for sneak peeks, there were signs posted letting guests know that the attraction might make frequent (unplanned) stops (below, left). 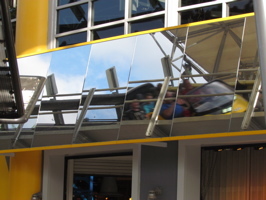 I took a media walk-through/hard hat tour, and this rendering of queue elements was on display in the VIP lounge. 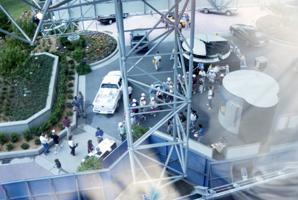 During the tour, I took this photo looking down from the lounge (below, left) and from above the up ramp inside the attraction. 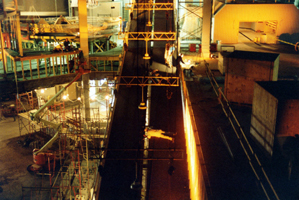 (below, right). 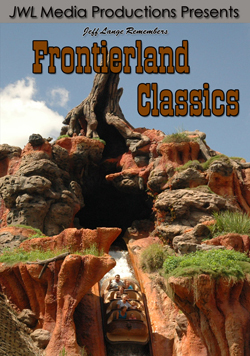 It was very exciting at the time as nothing like this had been done before. 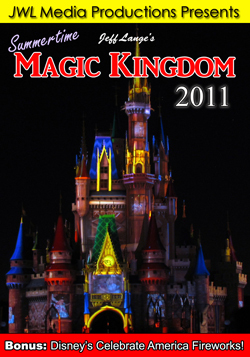 I am hopefull the next version will be just as thrilling and hopefull pay some fitting tributes to the past residents of the location. 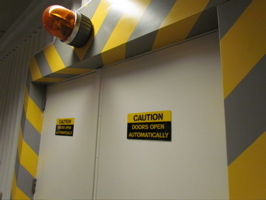 Video #2 – Epcot GM Test Track Refurbished Ride Vehicles, Multiple Views, Walt Disney World – Some of the GM Test Track Vehicles have been refurbished, including new paint and body design changes. 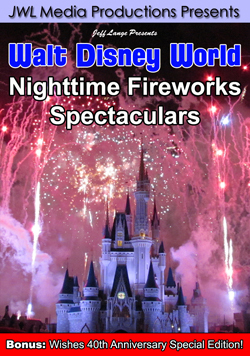 Latest Release – The Very Best of Disney’s Nighttime Fireworks Spectaculars!